Sludge collecting buffer in a new sprint mill generating 500 bone dry tons of sludge per day. 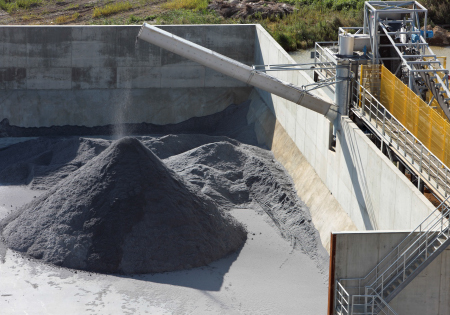 A swiveling screw conveyor discharges the dewatered sludge to make the best use of the available buffer volume..
Bunkers are usually used for storing large sludge or reject quantities. 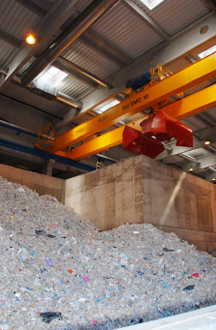 Special feeding systems such as crane systems with claw buckets are used in most cases. 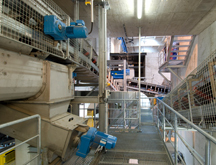 For large quantities it may be necessary to distribute the material streams into separate handling lines.